Bringing a community closer with fansites, members and supporters doing their best to give everyone the greatest possible experience of all time. 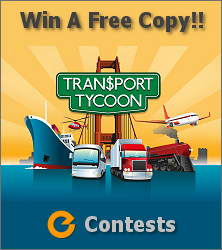 This Magazine is entirely dedicated the Transport Tycoon Community. The story of a community coder! 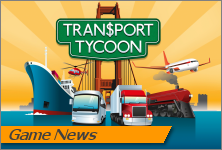 Unlike Chris Sawyer's original version of Transport Tycoon Deluxe, todays range is considerably greater for those who wants to go ahead as a successful CEO of a fictitious company in the freight and passenger transportation industry. And while a few still chooses Josef Drexler's TTDPatch for their ultimate gaming experience, a vast majority nowadays leans towards the open source version, OpenTTD, both of them offering far more than what the original game ever touched. But there is always that clique of users who aren't satisfied with these options at all, instead eager to try out even greater challenges - or rather more specific solutions for their ultimate gaming experience. The more complicated, the better it may seem! 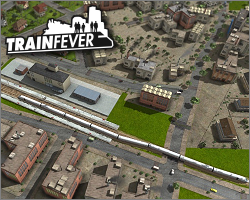 And if you happen to be one of those preferring the latter there are a number of choices out there, all thanks to some especially devoted and diehard fans in the Transport Tycoon community. We're of course talking about patch packs, mostly sharing the common denominator of generally being a one man development process. In other words, they are usually designed and constructed by one person to be used by anyone who wants a little bit more challenging games than what the more or less "official" versions are able to offer. But none of this is obviously done in a jiffy! It requires some extraordinary skills and ideally also a design that appeals to a larger group of users, which in the end increases the responsiveness and motivation to both continue and further improve what is already done. So with that said, what is the recipe for a successful patch pack concept? Well, one person that obviously should know is ChillCore, up to this point serving version 14.7 of his rather huge patch pack, released earlier this year and consisting of nearly 50 other smaller patches and game scripts developed by other devoted fans in the community. -"Those machines used to be quite expensive, but I settled down with the manual instead, reading it from the first page to the last over and over again. The device itself contained a little slalom game, nothing fancy graphical wise, but it was awesome to view text you entered on the screen performing certain tasks such as speeding up the game and making it harder as you added more and more obstacles to it"! -"I borrowed every single book I could find on programming in the local library, which I read front to back. This proved that nearly every programming has the same principals, only the things you can do in some of them is easier then in others. 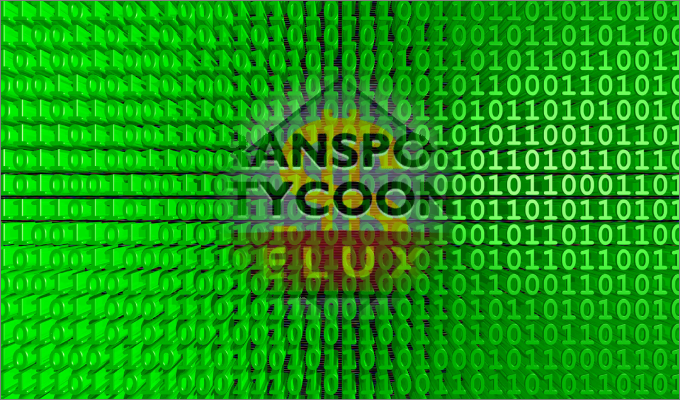 One language stood out and that was C++, it allows you to do everything while keeping fast execution of the code at the small cost of having to type more code to make it run on all platforms. By that I mean that Java will run on all machines, but at the cost of losing execution speed because of the virtual machine it runs on". Transport General by Navigation-Info Kft. Available for both iOS and Android the game has already rendered a number of patch updates for both devices, the latest specifically targeting the Android version as recent as two days ago. But there is also a release of some bonus material such as super-sized versions of scenarios, ringtones based on the title music from the original Transport Tycoon game, and wallpapers for the most enthusiastic fans to rejoice. Except for a few limited interviews, to say the least, with the creator Chris Sawyer himself, he seems determined to keep away from the public light in the true spirit of Greta Garbo, the world wide famous Swedish actress that passed away in 1990, well known for being the silent and the reclusive woman of mystery. A behaviour he has basically pursuited throughout his entire career in the industry alongside an unwillingness to allow himself the interaction with users, which in many ways is rather unfortunate. At least from a game development perspective where a more active engagement most likely would have contributed him with both useful and valuable experiences in his career of developing games in a genre that still appeals to a large group of gamers world wide. 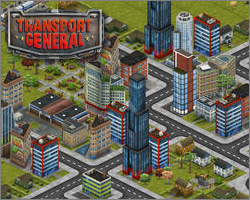 Running a successful business trying to make a profit by transporting goods or passengers from one point to another requires more than a set of rails - or some asphalt if road vehicles is your preference. One of the most important necessities are obviously places where all this can be done without to much troubles or other hazzles one way or another. And seeing as this game has been around for some time, allowing users to add their own custom designs whether it's about basic features or new graphics, there are a lot of choices available. 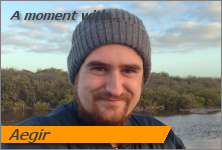 One set recognized by most is the Project Generic Stations, affectionately known as P:GS at the time, developed by Richard Eldred from "down under" - or Aegir as he's known from his active days within the Transport Tycoon community. 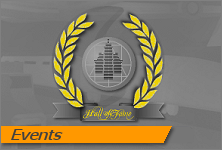 With the ballot ending at the end of October and all the votes counted for in the second round this year for the inductee to the Transport Tycoon Hall of Fame, Simuscape officials, in charge of this yearly event, has announced the winner who will join Chris Sawyer himself, coincidently elected as the first inductee earlier this year, into the honourable chambers of fame.